Ozone therapy is relatively new to the field of dentistry, though ozone has been used for many years to accomplish a number of health and wellness initiatives. For instance, major American cities use ozone as a means of sterilizing public water. Moreover, major food and beverage distributors are known to use ozone to sterilize fruits, vegetables, sodas, and bottled waters we enjoy every day. Even large commercial facilities, ranging from shopping outlets to manufacturing centers, often use ozone in conjunction with air purification systems to reduce airborne bacteria and pollutants. Now, ozone therapy is available at Assure A Smile to enhance dental treatment and restorative procedures. In this article, we explore the basics behind ozone, ozone therapy, and how it can be beneficial in the treatment of cavities and tooth decay. Ozone is a form of oxygen that contains 3 oxygen molecules (O3) rather than just 2 (O2). The extra oxygen atom is what gives ozone its negative molecular charge, which many health professionals credit with its ability to provide such far reaching health benefits. Despite anecdotal evidence suggesting the efficacy of ozone therapy in a variety of medical contexts, it is important to note that ozone is an alternative medicine that some medical professionals and organizations do not recognize as a viable treatment modality. Nevertheless, a growing body of research indicates ozone therapy in both gas and liquid form has a positive impact on the health of body tissues. How it works. One theory suggests that negatively charged ozone has the ability to penetrate the body, seeking (positively charged) bacteria like opposing ends of a magnet. Once joined, the extra oxygen atom from the ozone neutralizes bacteria. In dentistry, using ozone to eliminate bacteria is particularly beneficial when treating tooth decay. Tooth decay occurs when oral bacteria spreads throughout the mouth, producing an acid that wears away at tooth enamel. Over time, cavities form in the tooth that must be drilled and restored with a safe, bio-compatible filling. With this in mind, it’s easy to see how eradicating tooth decay hinges upon the ability of the individual to eliminate oral bacteria. Bushing, flossing, and oil pulling every morning and evening are just a few ways to accomplish this task. Visiting the dentist every 6 months for a thorough cleaning and dental exam is also critical. To further reduce oral bacteria, dentists may incorporate ozone therapy with routine dental procedures, like cleanings and restorations. The process is simple and painless, allowing patients to enjoy the added benefits of ozone without any additional discomfort. 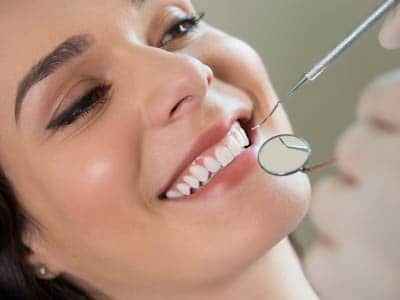 To learn more about treating cavities and other dental health issues with ozone therapy, contact Assure A Smile online or call our office directly at 305-274-0047.